Illumicrate: August 2018 Oh So Criminal unboxing! Hi everyone! Happy weekend! 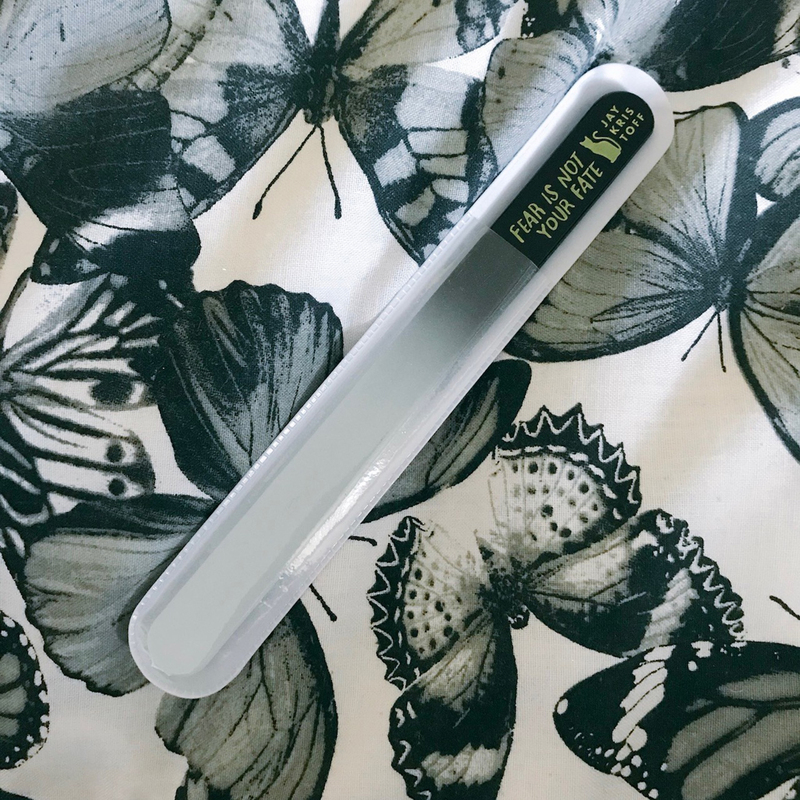 Today I’m sharing my August Illumicrate unboxing with you all – if you don’t want spoilers then don’t read the rest of this post!! 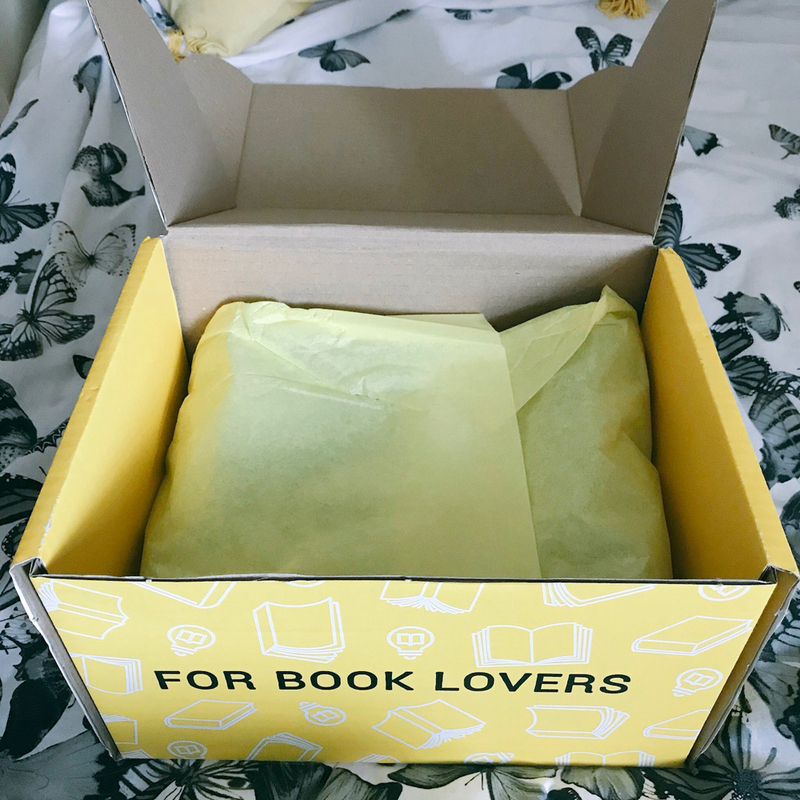 Although I easily guessed the book for this box before receiving it, it was crammed full of fab bookish items which I will definitely be using! This is your last chance to turn back if you don’t want spoilers! I love that the crinkled bits of paper are not being used in these boxes anymore – they may have looked pretty but they were definitely a pain to tidy up! So the first item I pulled out of the box was probably my favourite item in this box. 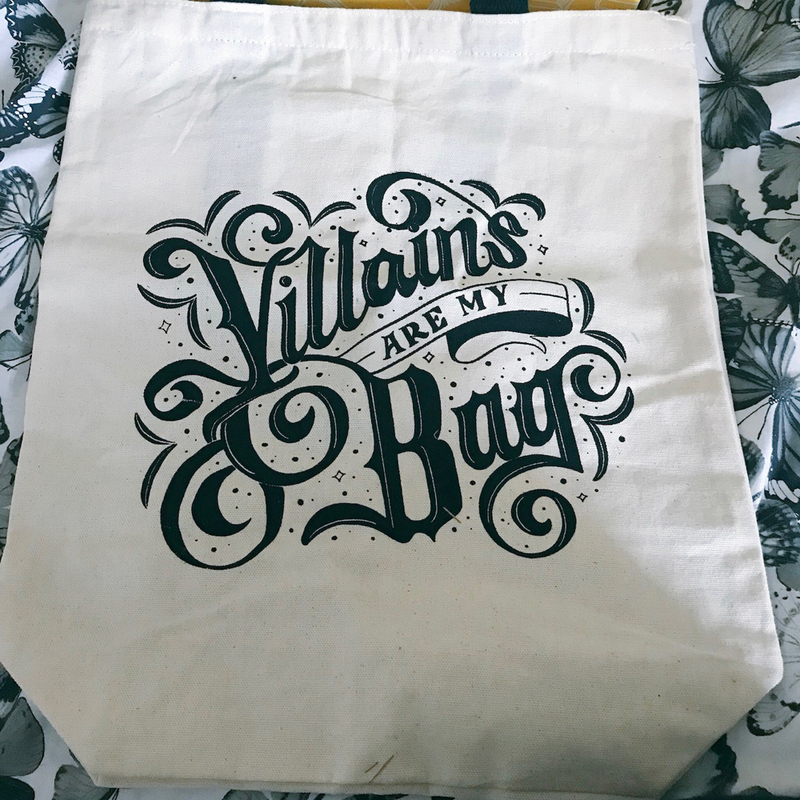 I love tote bags so much and use them all the time so to have this ‘Villains are my bag’ tote is just perfect! It was exclusively designed by @kdpletters and has lovely thick handles so I know this bag will last me. This beautiful candle was the next item I fished out of the box. I love the colour and it smells absolutely gorgeous! This candle was designed and made by @elvenwickcandles and I may just have to make a few other purchases! To say that I freaked out when I saw this item would be an understatement. 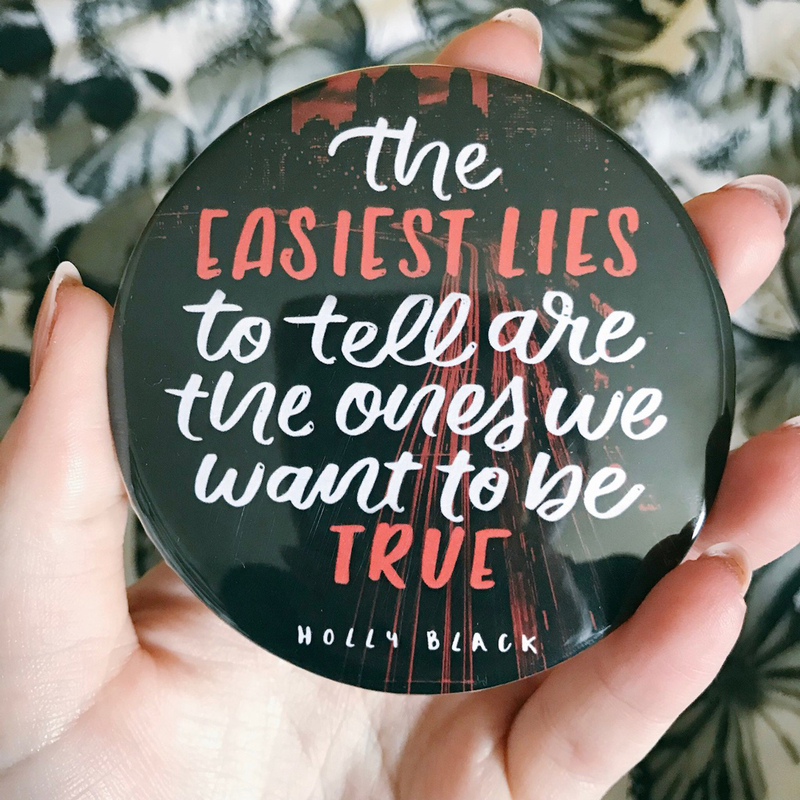 I am a HUGE Six of Crows/Crooked Kingdom fan and this lanyard with the iconic ‘no mourners, no funerals’ quote is just stunning. Designed exclusively for the box by @fableandblack. 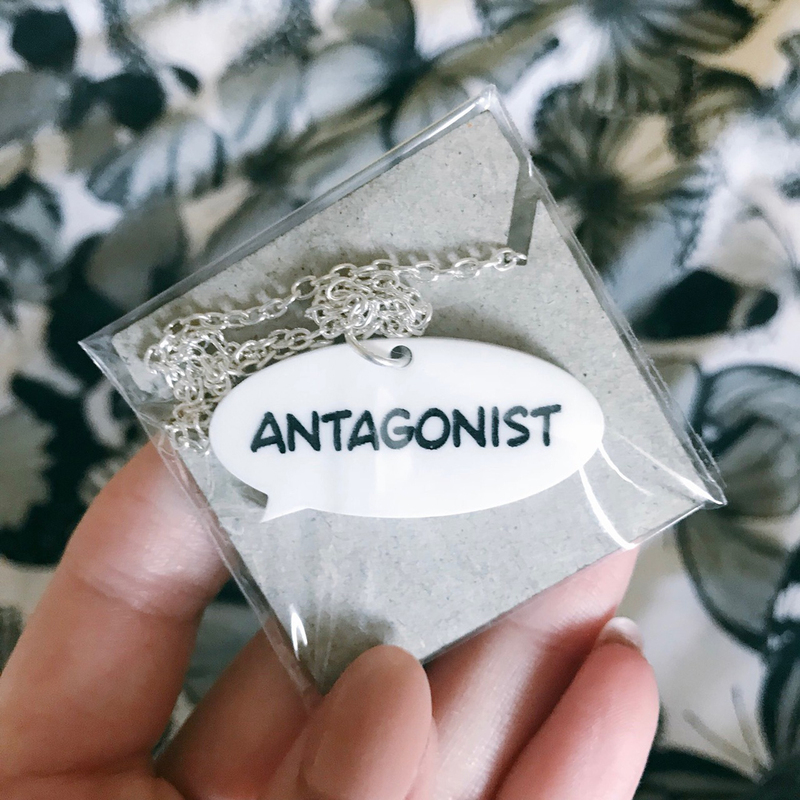 I love bookish jewellery and it’s definitely something I wish I owned more of so this Antagonist/Protagonist necklace is perfect! It is really great quality and looks fab too. Designed exclusively for the box by @_down_the_rabbithole_. My heart did a little flip when I saw this adorable design on the coaster. I think @katieabey has done an amazing job at capturing Sirius and Buckbeak’s friendship. This currently has pride of place on a bookshelf – I couldn’t bring myself to cover them with my mug of tea! Next up is this very pretty mirror which has a lovely Holly Black quote on it. I really love the design of this by @reverieandink. I have never received a nail file like this in a book box before but as someone who regularly does my own nails it will definitely be used. I was also super excited when I saw that it is inspired by Jay Kristoff’s Nevernight series – it filled a tiny bit of the whole left in my life whilst I await Darkdawn. This was exclusively designed for the box by @heyatlascreative. Then I discovered this beautiful print (my picture does not do the colours justice at all). 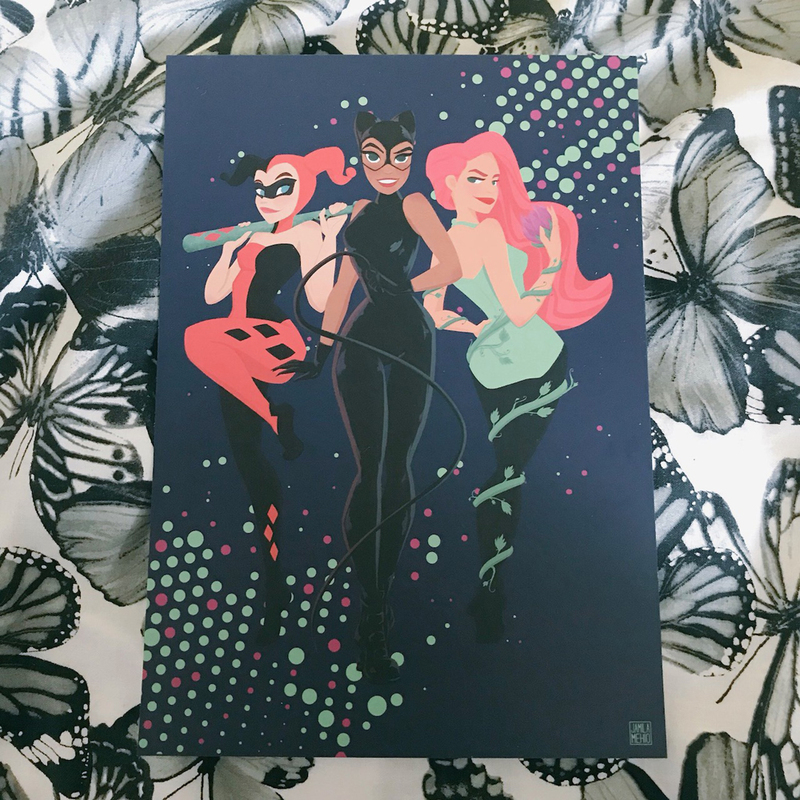 This is a Gotham Sirens print designed by @jamilamehio and features Catwoman, Poison Ivy and Harley Quinn. 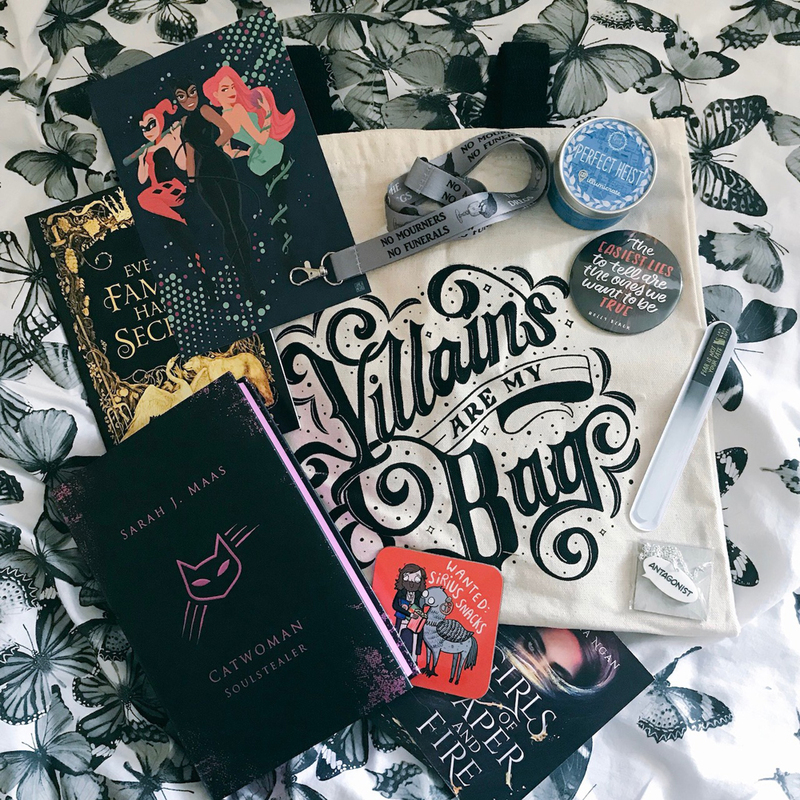 Then there was the usual publisher swag in the form of some bookish postcards from Harper 360 featuring its upcoming releases, Tempests and Slaughter by Tamora Pierce and Girls of Paper and Fire by Natasha Ngan. There was also a chapter sampler of Sisters of the Winter Wood by Rena Rosser which sounds fab! Then it was time for the book! I had already guessed from the prompts it would be a copy of Catwoman Soulstealer by Sarah J. Maas but I didn’t expect a hardback copy and those spread edges are SO gorgeous!! This will be my first SJM book (I know, I know) but I’ve enjoyed the first two in this series so I’m looking forward to some Catwoman adventures! There we have it! I really loved this box and thought each item was fab! I still think the tote bag is my favourite but I adore the lanyard, candle and coaster too. Not forgetting that stunning book! Which of these bookish items do you wish you could get your hands on? Have you read Catwoman Showstealer? Is it on your TBR? Excellent unboxing 🙂 I love your pictures. I think my favourite thing is the necklace, I love how it’s reversible. I can’t wait to read Catwoman, I was surprised by the sprayed edges too. That copy of Catwoman is so gorgeous! 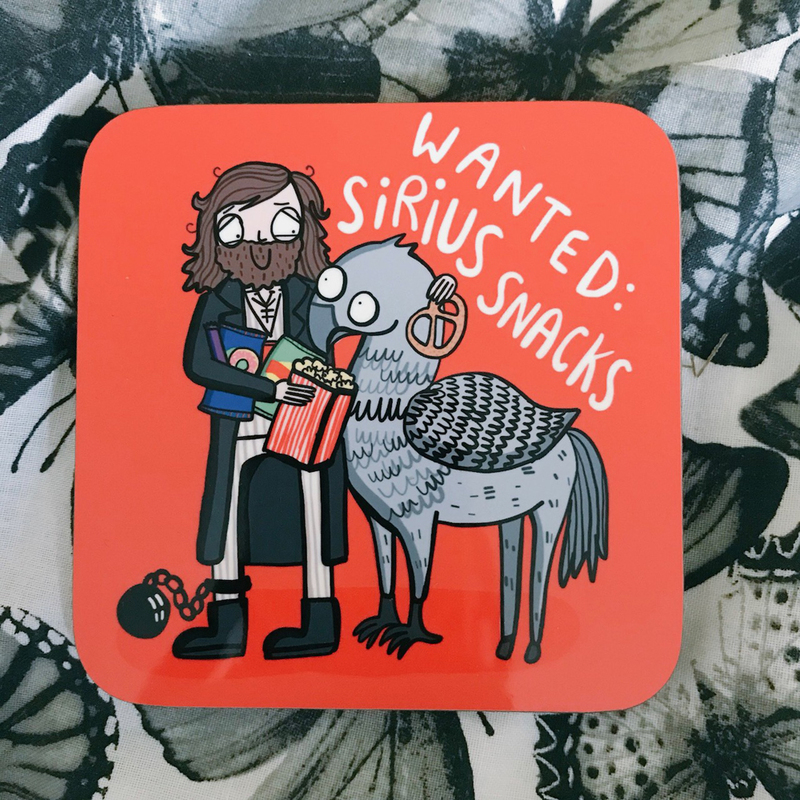 ❤ And I love the Sirius coaster, so cute!! I love that tote bag! I definitely plan to read Catwoman at some point even though I’m not that into superheroes (though I did enjoy Batman in the D.C. Icons series); I’ve heard great things. The book was gorgeous. That and the print were my favourite items! 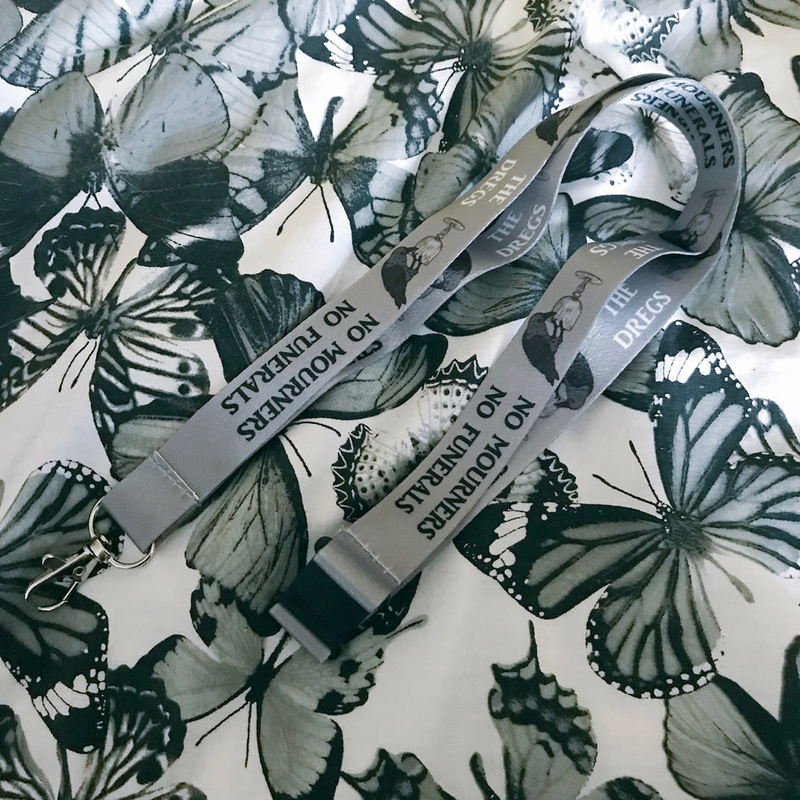 OMG love the six of crows lanyard! !